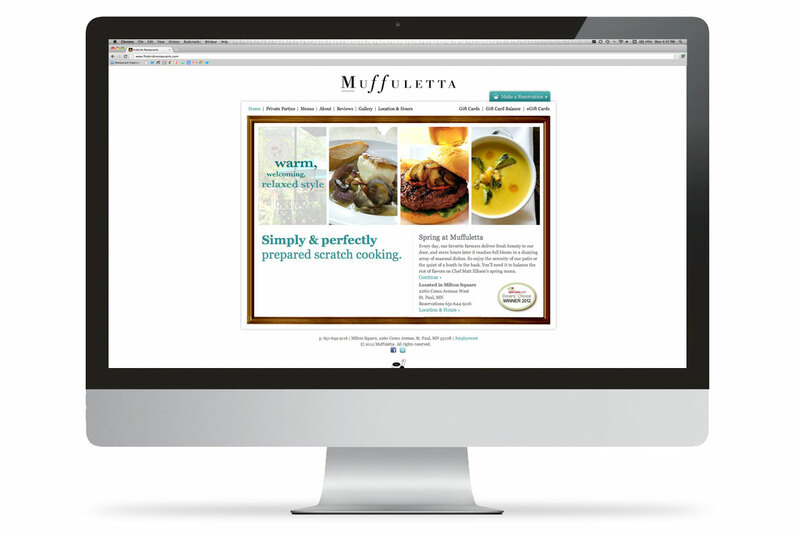 Befitting one of the city’s oldest and best-loved restaurants, the Muffuletta brand is timeless and comfortable, yet fresh and energized. The current version of a logo that has been refreshed several times since the restaurant’s 1977 opening. 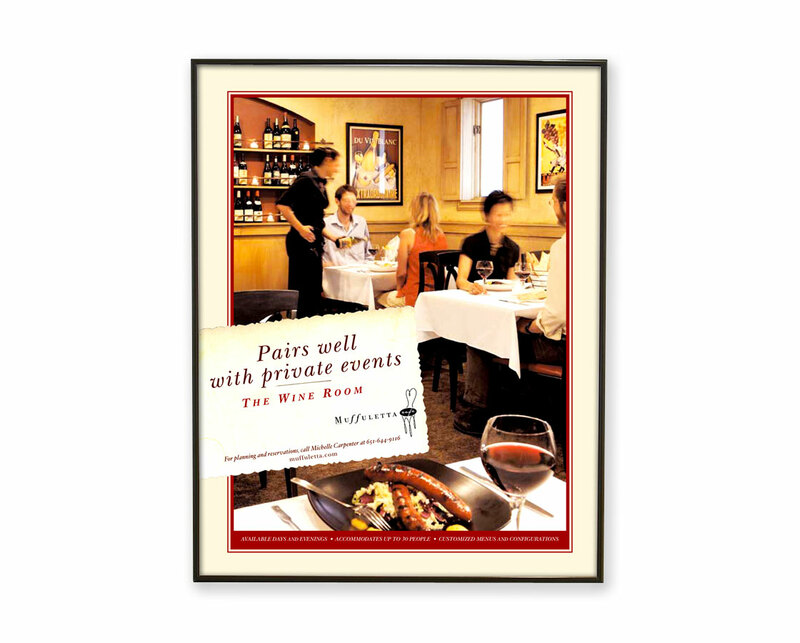 A poster promoting the restaurant’s private dining venue was also versioned for advertising. 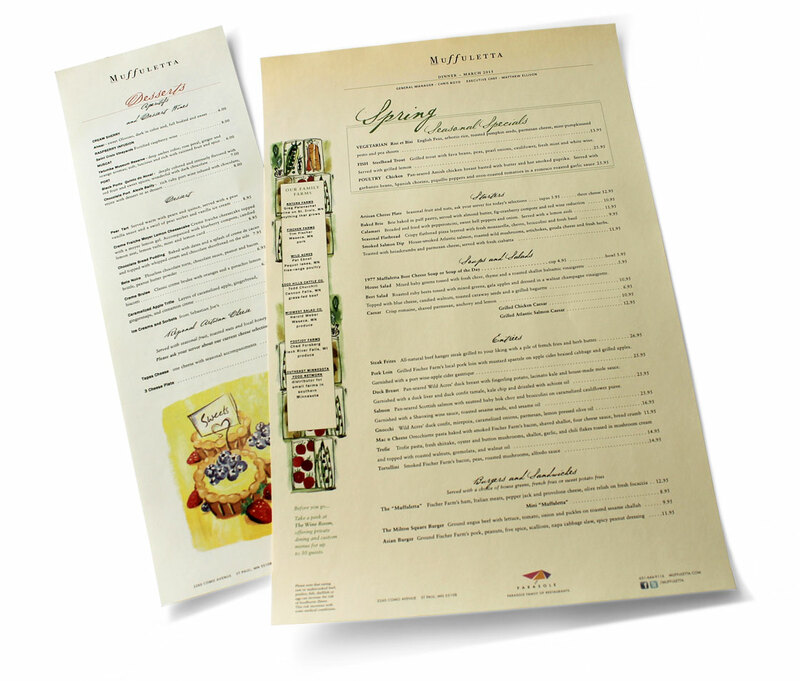 Muffuletta’s menus are friendly and informative. 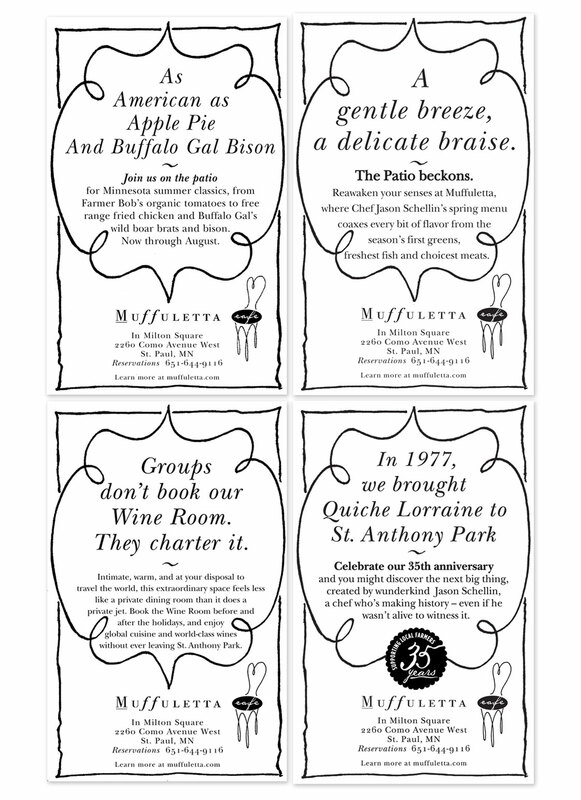 Muffuletta’s print ads run primarily in a neighborhood newspaper. 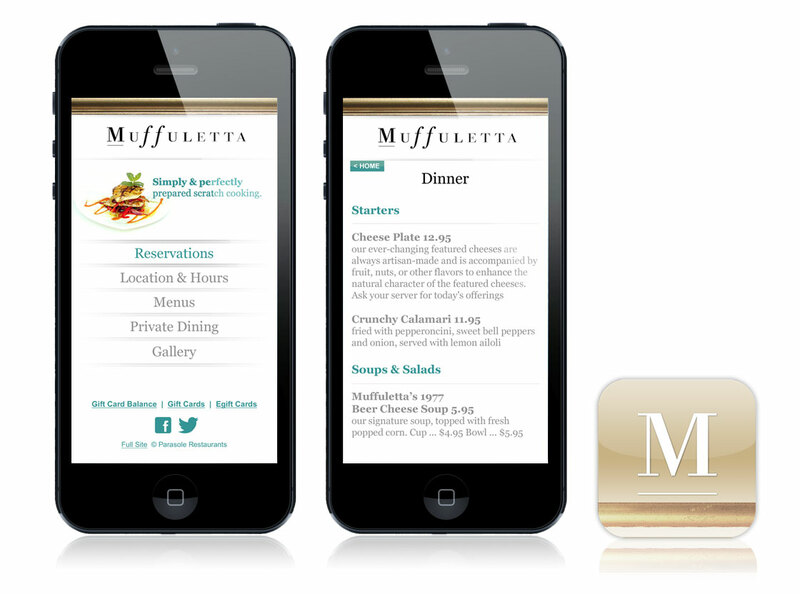 Muffuletta’s mobile website duplicates the utility of the desktop version. The homepage of the website changes with the seasons.